The mission of Mom Bodies is to support Motherhood through every stage by providing postpartum rehab, pregnancy/pre-pregnancy support and labor preparation. Dr. Caitlin Deems created Mom Bodies to fill the gap in postpartum care in the Northwest Florida, where she recently became a mother herself. 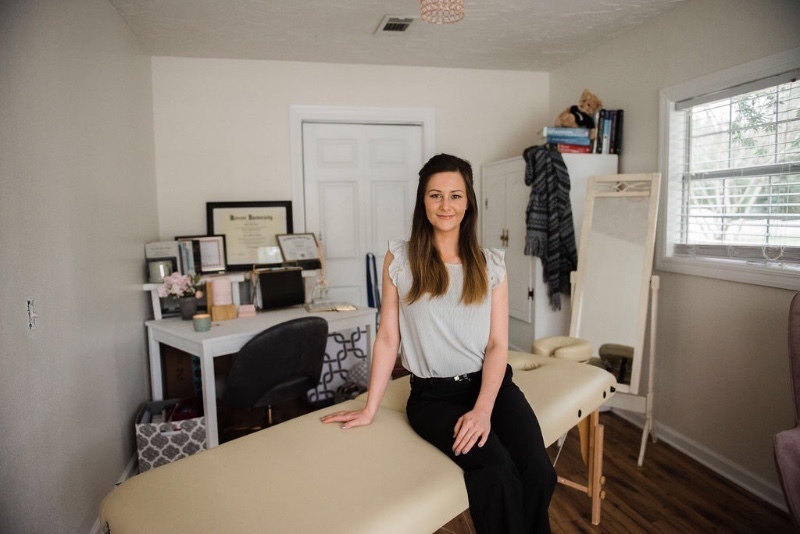 She treats a variety of pregnancy-related conditions, such as diastasis recti abdominis, sciatica, incontinence, and difficulty returning to activity with a protocol that starts with proper alignment, neuromuscular control, and functional mobility. Individualized Healing Plans went after each appointment in order to support a home program. Evening and weekend appointments to accommodate busy schedules. Nursing babies welcome. Virtual appointments available. Access to exclusive Mom Bodies Client Facebook page with resources and videos to support home program. Community partners to support your Motherhood Journey. Mom Bodies is a cash-based concierge Physical Therapy practice. Cash, check or credit card accepted. Discounted follow up session package available. Military discount.